Over a quarter of UK adults treat themselves to sugary snacks such as cakes, puddings, biscuits and pastries at least once a day. Despite their reputation as a health-conscious generation, millennials (aged 25-34) are the most likely to tuck into treats, with a third indulging in at least one sugary snack per day. Despite these concerning levels of sugar consumption and a growing obesity crisis in the UK, just over a third of adults have attempted to curb their sugar intake over the past year, 32% of those are aged 25-34. Older generations are the most concerned by how much sugar they ear, with 44% of those aged 55+ attempting to reduce sugar consumption over the past year. This was matched by a recent report from the UK government on sugar reduction with the aim of a 50% reduction for sugar calories from food, and a 83.5% reduction in sugar calories from drink. They aim to do this through the model pictured below. Sugar Secrets - Your food doesn't need to be sickly to contain alarming levels of sugar. 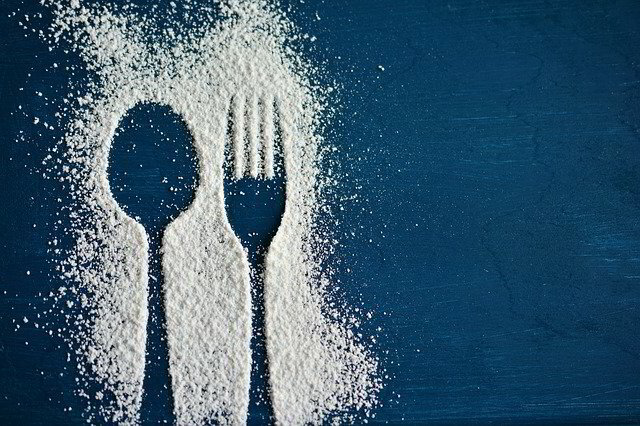 It's often found that sugar is hiding in the most unexpected places - largely due to the transistors that sugar triggers. Make sure that you read ingredients to identify which foods you're eating contain sugars. If it's something that shouldn't and it's easy to make without the sugar, why not make it from scratch without the sugar? This is also a great opportunity put some health options in that a positive effect and will keep you driven and focused for longer! Healthy Options - Swapping sugary snacks for healthy alternatives such as fruit or nuts will not only lower your sugar intake but bring additional nutritional benefits and leave you satisfied for longer. Leave Treats Out of The House - We're not saying don't have treat...obviously everyone deserves one sometimes! Bringing treats into the house puts them in arms length and when we're hungry we'll always grab what's easiest. Keeping our house treat free is one of the best rules we ever made! Don’t drink your sugar – Sugar lurks in drinks as well as food. Switching to sugar free alternatives to fizzy drinks or swapping sugar for sweetener in your tea and coffee can dramatically lower your daily sugar intake. *Research conducted by Censuswide in August 2018 across a nationally representative sample of 2,000 UK adults.